Promoting your business when your budget is squeezed tight requires creativity, persistence and determination. It is easier than ever before for startups to reach potential customers, you just need to know how best to leverage all the channels available. The array of ways that small businesses can now target their audience is encouraging more and more budding entrepreneurs to start their own business. The number of privately owned companies has risen by 8% during 2016 and is continuing to grow! We’ve collected a range of strategies and methods that you can try out to promote your business, even if your budget is tight. Whether you’re preparing for your big launch or are just looking to grow, these methods will ensure you reach the right people. Merely having a website isn’t enough anymore. You need to make it easy for customers to find you when they require your service. Make sure you clearly describe what your business is in the title and try and fit your business type in your address. For example, “Paulyoungplumbing.co.uk” for a plumber or “Whitescatering.co.uk” for a catering company will help customers instantly understand what you do. You don’t have to shell out for an expensive website designer either. Wordpress offers hundreds of free website templates that can be customised even if you have very little web experience. They even offer specific templates for certain types of businesses, such as restaurants or sports, making it even easier to build an amazing website for very little cost. Setting up a Google My Business Account is essential for customers to find you when searching for local businesses. The best thing about it? 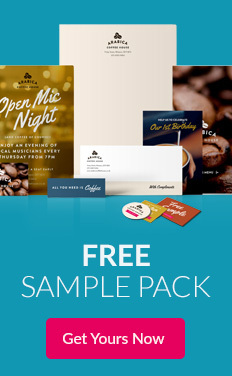 It’s completely free to set up! Your opening times, phone number, and directions to find you can all be listed for swift access to your business. Reviews and photos can also be included if you want to show off what makes your Startup stand out. You can even write a short description to introduce your business and services. Recent developments from Google also mean you can partner up with a photographer who creates a 360-degree virtual tour of your shop to give customers an insight into your business. Sophisticated email marketing is no longer reserved for businesses with massive budgets. 86% of customers would like to receive promotional emails from companies they do business with, making email a great way to promote to your contacts. Gather email addresses by asking for them when they make a purchase or by offering a discount on their next order and upload these to an email marketing platform such as MailChip. MailChimp offers a free service for lists up to 2000 people, making it the perfect option for small businesses or start-ups whose budget is relatively small. Make sure your newsletter is exciting to the reader. New products, services and offers are timeless subjects for emails, however try experimenting with interesting tips and advice. If you’re in the health industry for example, “5 Ways to Eat Healthy for Cheap” will be much more interesting than an endless promotion of your products. Promote your business around your local area by attending networking events in your industry. Workshops, seminars, and casual networking evenings can be found from websites such as https://www.business-events.org.uk/ or http://www.networkb2b.co.uk. These are not only amazing for finding new clients and partnership opportunities, but for acquiring advice if you’re just starting out or want to find new ways to expand your business. Some events are free and some charge a fee, so work out what you can afford and choose accordingly. The FSB and Chamber of Commerce also regularly host events for small businesses on everything from financial support to growing your digital presence. Everyone knows the promotional power of social media. There is unparalleled scope to reach thousands of customers with no cost to you. However, there are only a certain amount of hours in the day. To get the best effect from your social media presence its best to streamline your efforts with a solid strategy. Firstly, choose which sites will fit your business best. The highest age demographic for Facebook 25-34-year-oldslds, yet it is also the most popular social network for the over 50s. 71% of Pinterest’s users are women and LinkedIn has the highest user rates among 30-49 year olds. When you want to promote to people on a budget, it’s essential to get others to share your posts for you. If you hear or read a piece of information, you’ll only remember 10% of it three days later. If that information is alongside a relevant image, you’ll remember 65%! Include photos on your flyers, posters, website and social media to maximise your promotions and get more from your budget. Posts that have imagery alongside them are actually 40 times more likely to get shared on social media than just text! There is an astonishing wealth of websites and articles available online in even the most niche of industries. By engaging in conversations which your target audience are reading, you’re promoting your expertise by spending nothing other than your time! If you’re opening a vegetarian café, find local bloggers who publish vegetarian recipes, or go to the lifestyle section of your regional newspaper and leave thoughtful, interesting comments. Advertising in magazines or newspapers costs a lot of money. Getting them to report on something interesting that you’ve done, doesn’t! You don’t have to invest in an expensive publicity stunt either. Try and spin your business in an interesting light that would make a good story for reporters. Independent Whiskey maker David Perkins got his business onto BBC News as he led with a great story. He left his Directorship at a massive biotechnology company to start his own small business. Reporters loved the narrative and his business got an article in one of the most-read news outlets in the UK. Try and think of an unusual angle to your story that would make your business stand out. 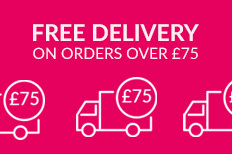 Are you the first business to sell ethically sourced furniture in your area? Or did you discover a new production method whilst travelling? Anything that can make you stand out from competitors can be a news story. Promote to your audience and position yourself as an expert in your industry by writing guest-posts for magazines, blogs and newspapers. Jounrnalism.co.uk matches reporters to contributors which in turn, results in low-cost promotion for your business! Alternatively, you can get in touch with your local press and ask if they accept guest posts. The key here is to make sure the subjects of your article aren’t too promotional, but talk about your area of business and include your details at the bottom. 85% of small businesses get customers through word of mouth. Utilise a customer referral programme to get your customers to promote your business for you. Offering a discount for every customer referred will be a great incentive for your network to pro-actively refer customers your way. Since 92% of consumers trust word-of-mouth referrals, this is a strong form of promotion which doesn’t break the bank. “Like and share” competitions are heavily used by large and small businesses but this is still an effective strategy. Enter anyone who likes and shares your post on social media into a draw for a chance to win a free product or prize. Every time someone shares your post, it will have the chance to be seen by all their friends and followers. Italian Wine Café, Veeno, took this tactic one step further. They offered a customer a chance to win a trip to Capri. 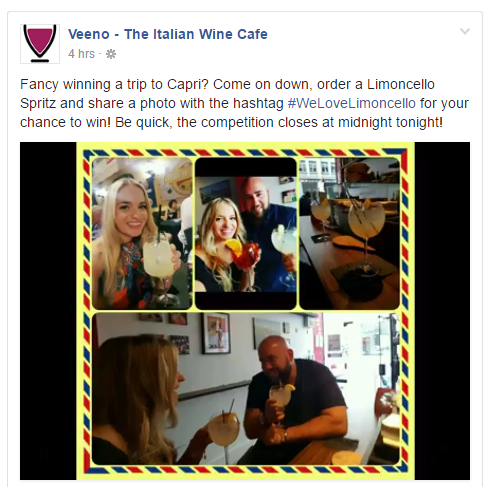 All the customers had to do was pop into the shop, order a glass of limoncello and upload it to social media with the hashtag #WeLoveLimoncello. This not only enabled the company to reach their customers’ followers but actually encouraged customers to visit their café too! Forming a partnership with other local businesses who share similar audiences will enable you to promote to an entirely new customer base. The 7 Hills Bakery in Sheffield hosts a monthly Bread, Cheese and Wine night at its shop by partnering with a local Deli and bespoke off-license. The three businesses advertise to their own customers, who have a love of food and drink in common, and visitors get a chance to sample each product! Why not form a partnership with another local business? Not only do you reach a new audience it gives you something to promote on social media and via email. A favourite among startups with limited resources and small businesses looking to make a splash, guerrilla marketing requires a great deal of creativity and determination. The simplest way to embark upon a guerrilla campaign is to print promotional material, such as stickers, flyers & posters, and leave them in unexpected places for people to find and generate excitement about your business. Some strategies follow an “Easter Egg Hunt” style. Any customer who finds one of these items and posts a photo on social media receives a freebie of your product! Tyskie Beer is a classic example of a low-cost guerrilla marketing campaign. They attached wall stickers to door handles so customers immediately see themselves holding a large stein of their beer. There’s a reason so many businesses paint their vehicle with their business’ logo. Every person that sees that van or car is instantly aware of the brand. Signs Express offer vehicle graphics and van wraps so you can turn your mode of transportation into a cost effective marketing opportunity wherever you go. Try and tell people where to find you, whether that’s your phone number, website or address to make it as easy as possible for customers to follow up after. Set up a business email address that automatically attaches your logo and contact details to the bottom of any correspondence you send out. Not only will this give your communications an air of professionalism, but it’s an extra piece of promotion which comes at no cost to you. Make sure this is present in your offline communications too, such as letterheads, correspondence cards and any compliment slips you send out. Even popping a discount voucher inside your product packaging is a cost-effective way to promote to your current customers. Charities are constantly promoting their cause to try and rouse donations from as many people as possible. By partnering with one whose values fit your own business, you can launch a cost-effective campaign that also positions you in a favourable light. Financial service organisation Foresters recently commissioned a survey which found that 89% of customers believed businesses should support local charities, and 59% would be more likely to buy from those that did. You could offer to donate 10% of every sale you make on a certain product to a local charity and the charity can advertise this discount to their audience to increase the donation. This is also a great PR opportunity to get into the local press! Chances are you’re an expert in your field. Share your expertise with others by hosting a workshop or seminar either at your premises or a rented space. If you own a café or bar, try hosting a cooking or cocktail class to generate interest. If you’re unable to host the workshop yourself, contact the organisers of business events, trade shows and fairs that relate to your industry and ask if they need a speaker or workshop host. The possibilities to promote your business on a shoestring budget are larger than ever before. The power of social media in an ever-connected world has enabled small businesses and start-ups to cast their net far and wide without breaking the bank! Has your start-up found a cost-effective way to promote? Let us know all about it, we’d love to feature you!